It’s no secret that HTC has had its fair share of problems lately, and is definitely at the point as a company where some pretty drastic action needs to be taken if they ever want to get back on track. Well it seems that HTC is definetely not giving up, as reports indicate that HTC plans to slash the price of its phones in an effort to better compete with Apple and Samsung. The report comes from a Chinese supply chain, who stated that price reductions will occur for upcoming Android and Windows 8 phones. HTC is having a hard time keeping up with Apple and Samsung, but they are certainly more than capable of producing amazing devices. A price reduction might sound risky considering the financial problems they are having, but also makes sense if they are able to establish themselves as a price competitive OEM that delivers high quality hardware. We don’t know if HTC will make major hardware modifications in order to keep prices down, but the supply chain is also reporting that Beats Audio will be completely dropped from their mobile devices all together. As HTC is most likely paying licensing fees for every handset shipping with Beats, this could aid them in minimizing costs. HTC has a good reputation for constructing durable phones with a premium feel, and I hope that their amazing build quality or internal components aren’t sacrificed in order to reduce costs. What do you guys think? Could this be a step in the right direction for HTC? Apple iPad mini and iPad 4 set weekend sales record! Apple loses iPhone owner loyalty for first time! regarding beats audio.. i dont think a customer will buy a HTC phone because its having beats audio . but still its good . I've enjoyed my HTC Droid Incredible, but that latest software update has been the worst snafu (no thanks to Verizon Wireless), I guess the future will be "no contract" and "boot your Android Smart Phone"
SOOOOOOOOOO true Patrick. When I plug my Galaxy Nexus to my sound system at home = MAXIMUM CRANKAGE. Voodoo makes such a huge difference. Same with the processor. Mine came stock at 1.2ghz, but I'm running both cores on 1.8ghz and its stable as hell. I even undervolted, which gives me better battery life at 1.8ghz than i ever got on 1.2. I guess the big boys just don't care about unleashing the FULL potential of their hardware. Haha the wisdom of the armchair experts. Although honestly, htc doesn't appeal to me as a brand. Their purchase of beats makes no sense (pun intended). It may be true that people use their devices as PMPs but sound quality is easier achieved through hardware rather than software. Case in point the iphone/ipod sounds like crap through the 3.5mm jack (played through apples software) but run it through the dock connector and a headphone amp (even a fiio) boom, good sound. Same with the galaxy s. Average sound until you root it and run the voodoo app. Crystal clear sound from both. Rivals my cowon s9 and sansa clip. Both shining examples how manufacturers fail to harness the potential of the hardware they put in. Such a waste of the wolfson chip's capability. The yamahas Samsung uses now makes me want to cry. I still use my SGS for my secondary line and back up PMP for when my cowon runs out. 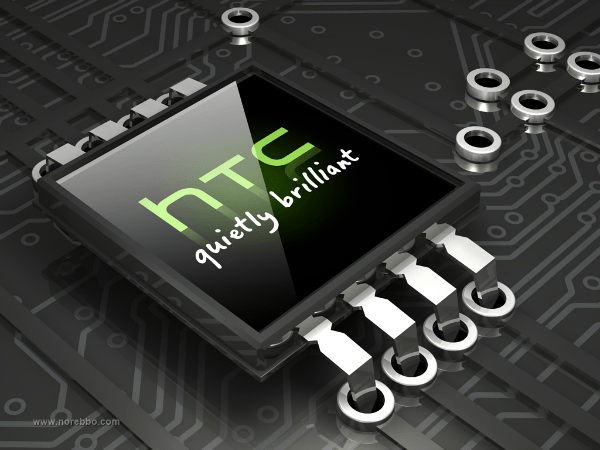 There are cheaper options to improve performance, too bad htc chose the more expensive option. I agree CJ. It's simply not needed, and there are plenty of Android apps like DSP Manager that manage audio. We should all be sitting on the HTC board of directors. We would set **it straight! Sounds like a winning plan to me Patrick. I agree with all your points here. HTC will most likely not catch up with Samsung or Apple anytime soon (if ever), but a price reduction with solid hardware is certainly a good first step. Slashing prices without sacrificing the quality of the handset would be the right direction to take in order to gain a competitive edge over Apple and Samsung. Okay, maybe not beat them but rather catch up. Gimmicks that increase the price of the phone just wont cut it. Drop beats and maybe focus on streamlining their product line. Maybe having just one low, mid and high end model would be better. Drop Sense - go with vanilla android or near vanilla to be able to push updates faster and beat samsung to the punch. Less gimmicks and faster updates is the way to go.